The Windsor Lions, the leading Windsor service organisation, once again sponsored the RDA (Riding for the Disabled Association) regional groups which entered the Fancy Dress Competition at the Royal Windsor Horse Show last Thursday. 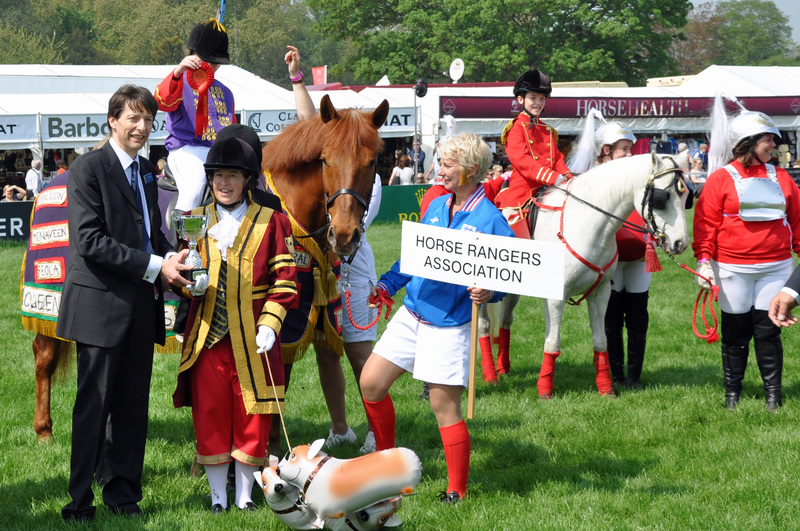 £1050 was distributed to seven different groups from all over Berkshire and adjoining counties in both the Riding and Carriage Driving categories. This always popular event has been sponsored by Windsor Lions for many years and is just one element of Windsor Lions support of disability sport and specifically riding, the other event from which RDA regularly benefits being the annual Windsor Great Park Cross Country Horseride (this year on 10/11 September – see www.windsorlions.co.uk) which has raised tens of thousands of pounds for RDA over its 40 years.